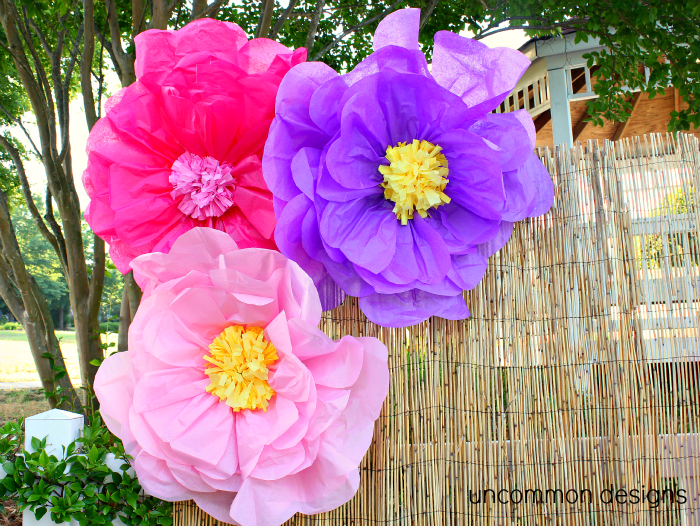 Tissue Paper Flowers - 15 Tutorials on how to make them! 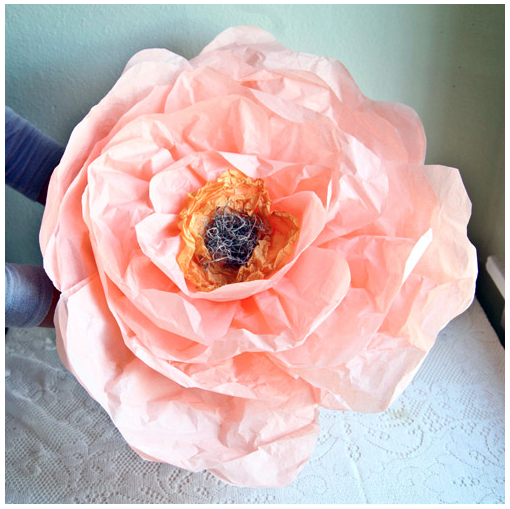 Inside: 15 Examples to beautiful Tissue Paper Flowers! 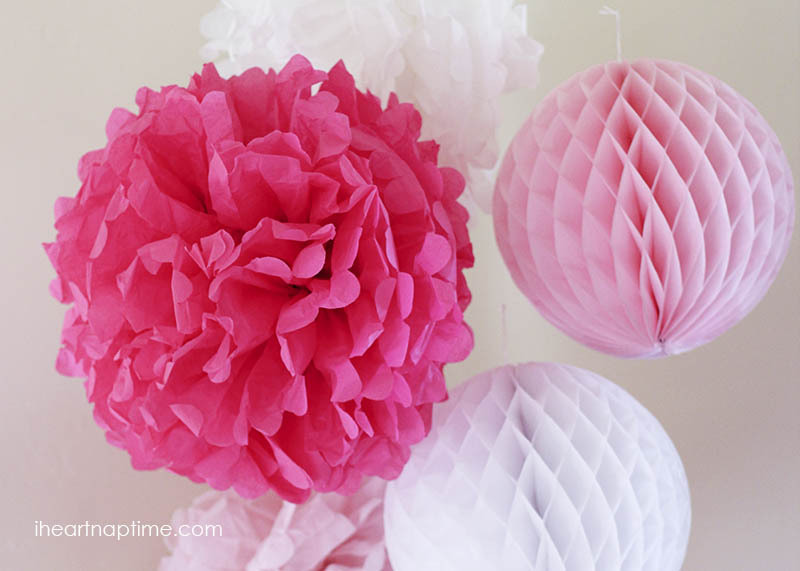 Are you looking for the perfect party or seasonal decorations? 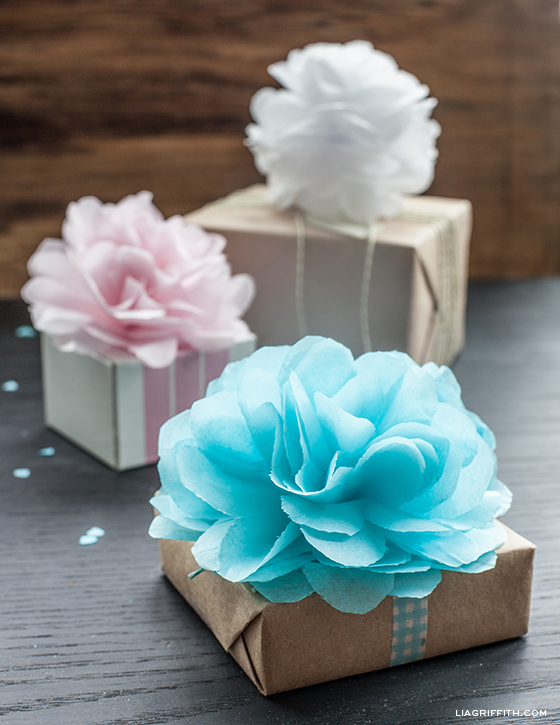 Are you throwing a baby shower? 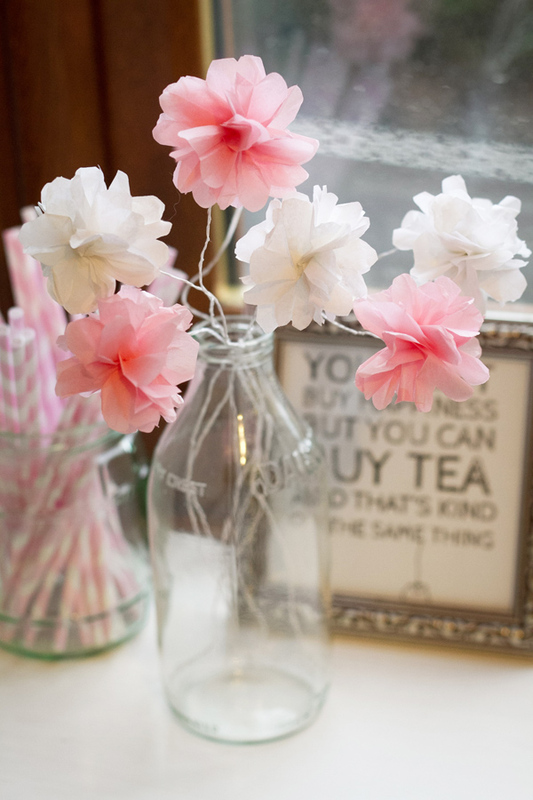 A wedding shower? 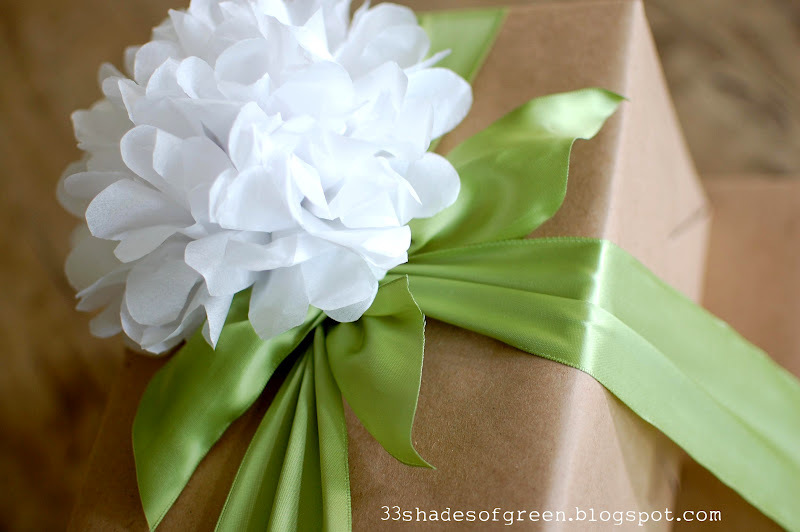 Or maybe you just need to step up your gift wrapping job on a birthday present for your extra crafty sister in law? You’re in the right place. 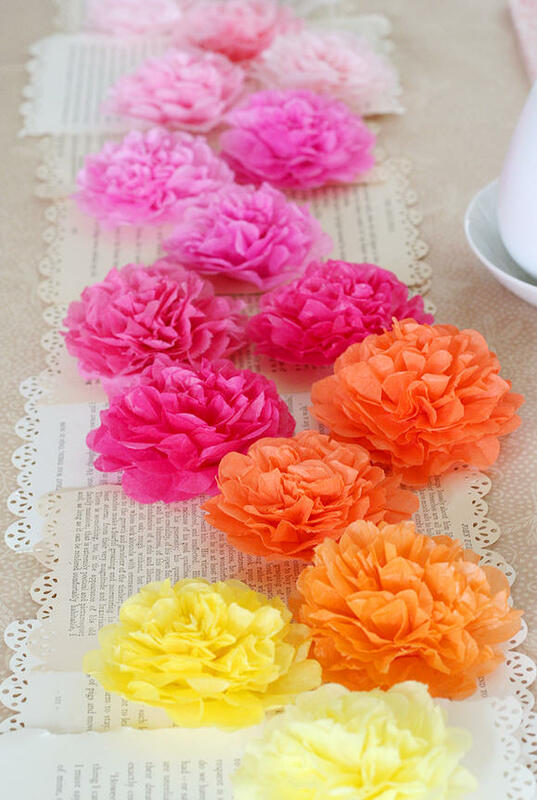 Tissue Paper Flowers! 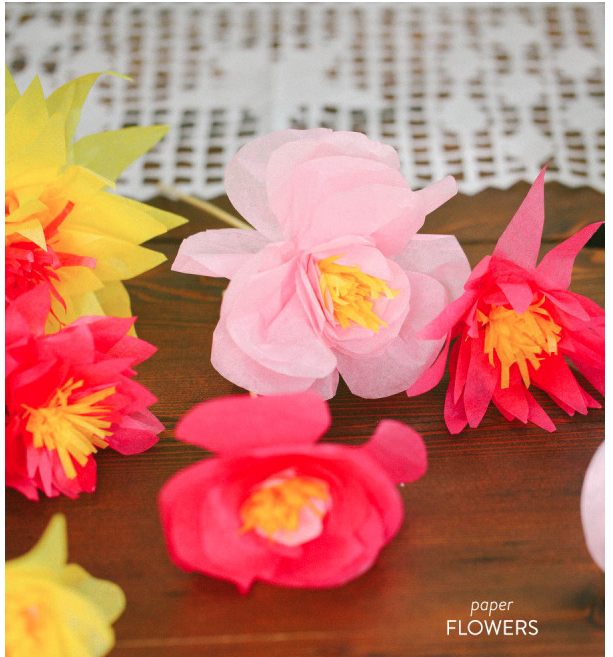 A cute, cheap, and addictive craft! These may seem obvious. But I’m going to list them out anyway. 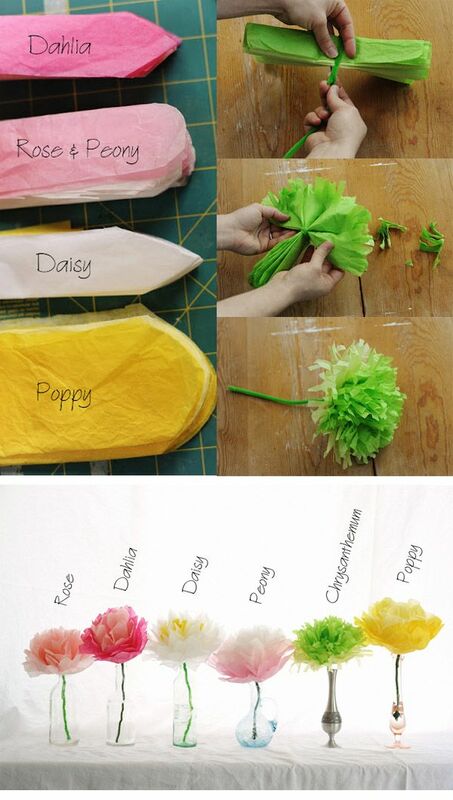 Pick a color or color scheme and decide on the exact flower you want to make. Scroll down the list. 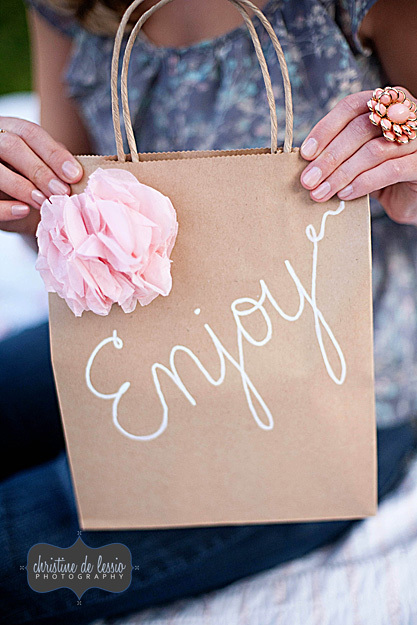 I’m sure you will find a favorite! 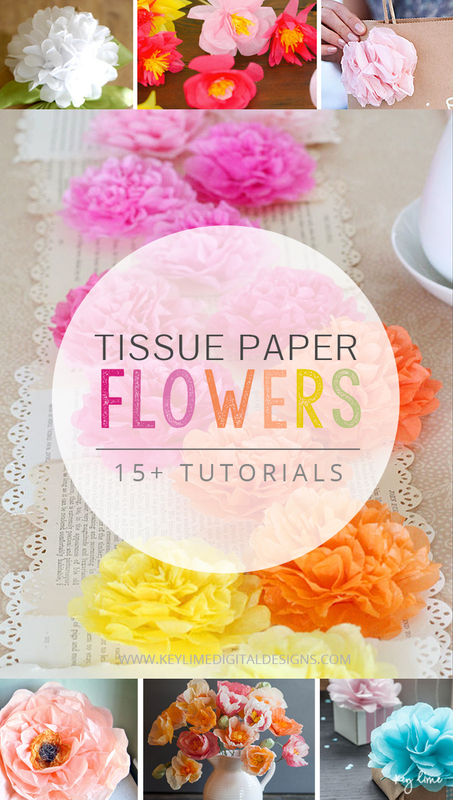 Buy Tissue Paper. If you are looking for a multi-color pack, this one is awesome! 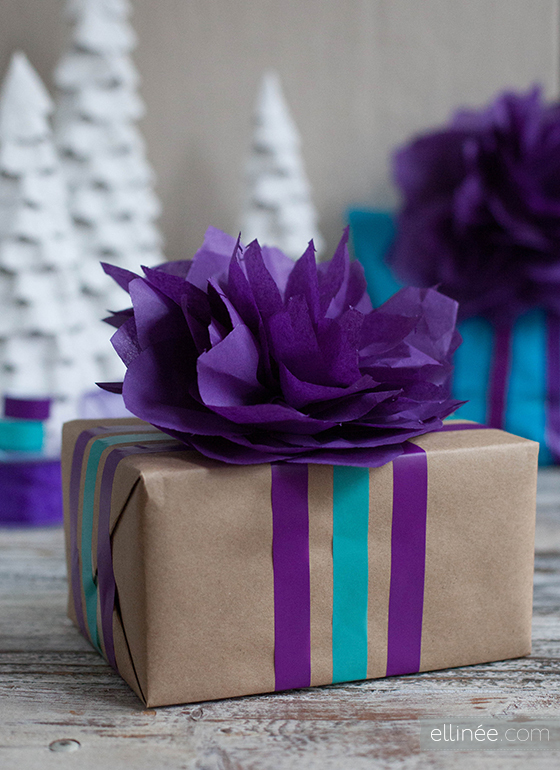 I also like to buy tissue paper after each holiday when they go on sale. 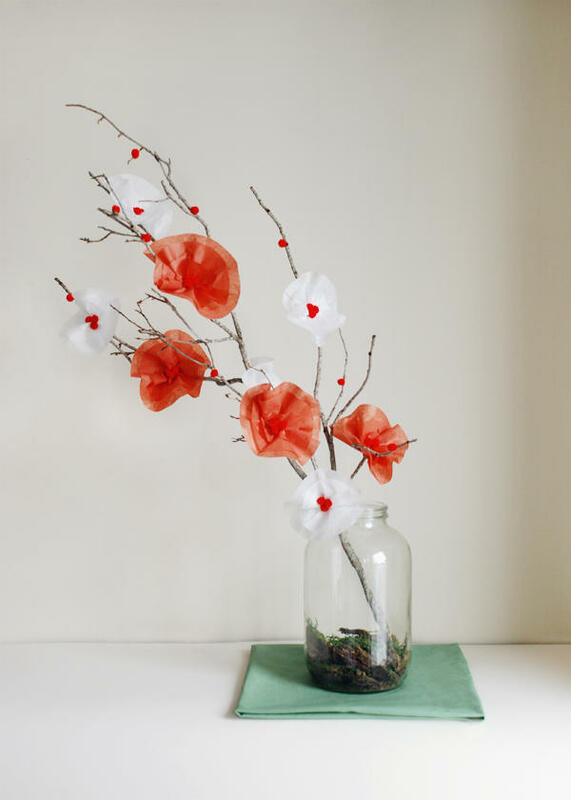 After Valentines Day, buy red tissue paper and store it until you need red! Buy any other supplies you may need. Glue, ribbon, wire, etc.. Turn on Pandora, and start cutting and folding away! 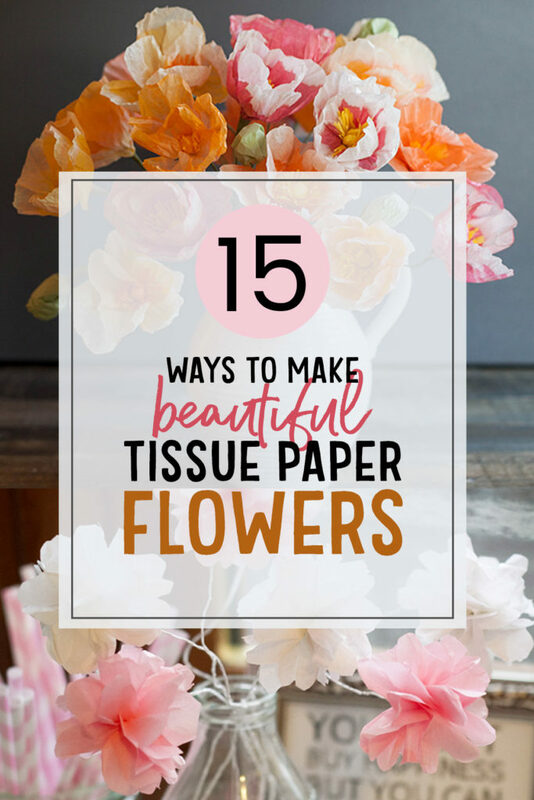 If you got to the bottom of this list and you want to make MORE Tissue Paper Flowers, go browse my Pinterest Board DIY | Paper Flowers. I’ve got lots more ideas for you there! Hi Kendra – What a great website you have! 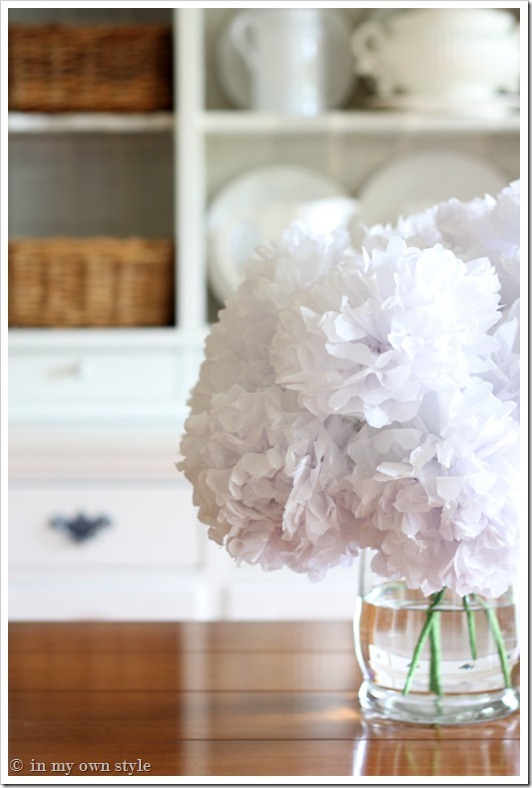 Thank you so much for including my tutorial in your post. 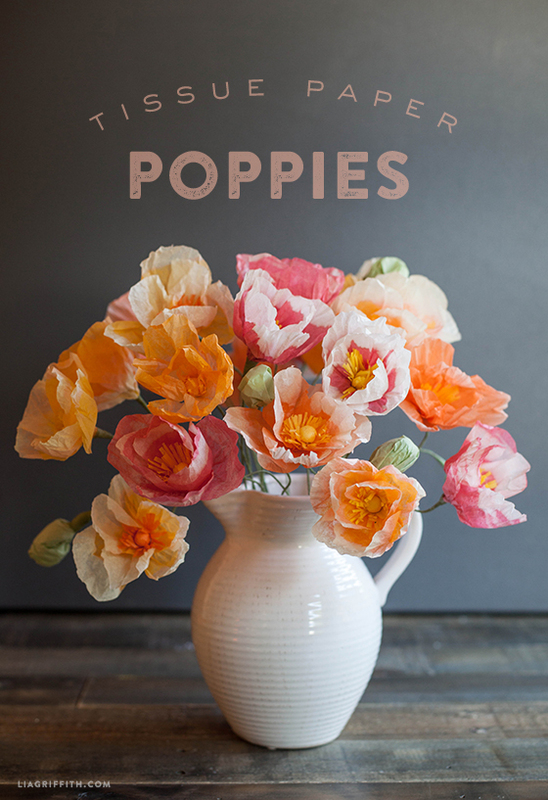 I love the images of the poppies – I need to go check those out!